Flowers are like a second language, as each species symbolizes a different emotion or meaning. While choosing the appropriate flower can be difficult in such distressing times, it can significantly aid the bereavement process. Eulogizing a friend or loved one with flowers may be one of the longest running traditions in the UK; however, that doesn’t make the selection process any easier. When the time comes to make that all important decision, without any prior knowledge, you’ll most likely be at a complete loss. Here at Butterflies and Blooms we are able to assist you in your choices, ensuring you get the flowers you wanted. 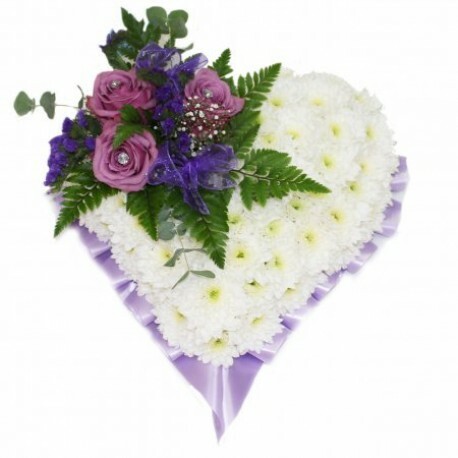 We offer a bespoke design service, all colours for this arrangement can be decided by the sender. Please contact us and we can discuss your requirements.